The Continued Vase, designed in 2012 by Slim Ben Ameur for the New Duivendrecht label, has been ingeniously conceived. 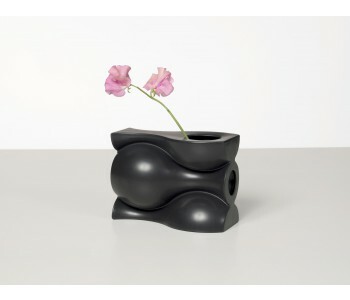 The black vase is ceramic and can be used both standing up and lying on its side. 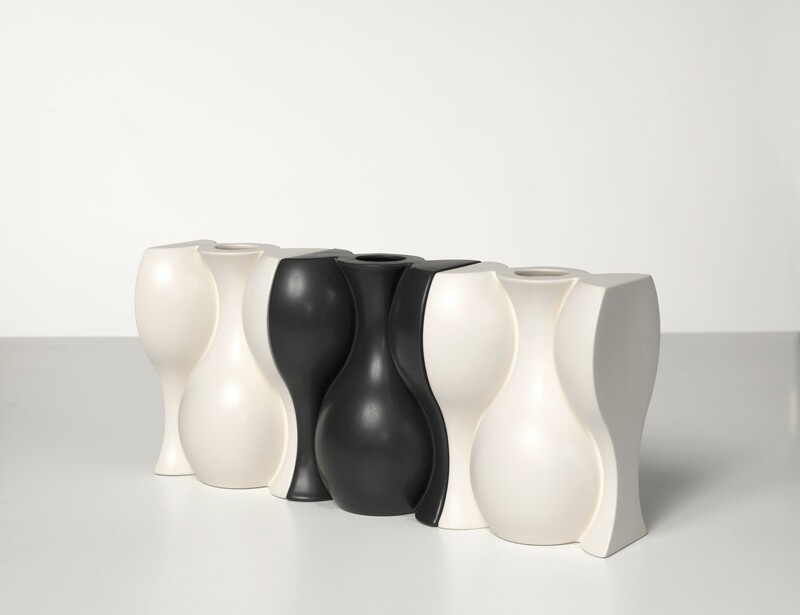 The vases fit together precisely and are also available in white. This Continued Vase is calledendless for good reason, because you can make endless combinations and variations with it. The Continued Vase, designed in 2012 by Slim Ben Ameur for the New Duivendrecht label, has been ingeniously conceived. The vase is ceramic and can be used both standing up and lying on its side. This gives you two possibilities with one vase. Use the vase upright and you can display a bouquet of flowers or a single long-stemmed bloom. But on its side, you can also use it for a bouquet of flowers. When the vase lies on its side and the flowers are not positioned in the center, the vase immediately takes on a completely different appearance. 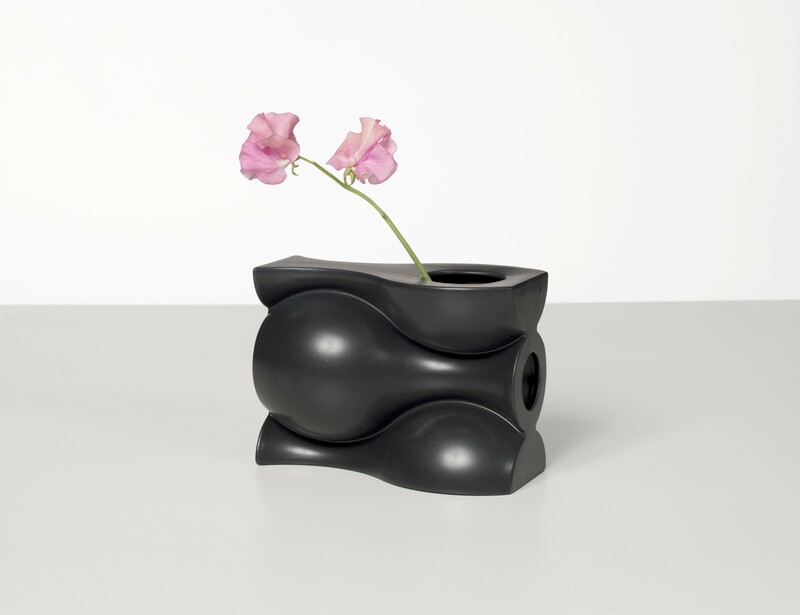 This black Continued Vase or the Endless vase is made from Ceramic.